Lubaina Himid explores provocative issues around black identity, and for this show, she has researched and selected pieces from the gallery’s West African textile collection. She has reinterpreted these in large cut-out figures, painted to express the conflicts and the convergences in contemporary and historic male identity. 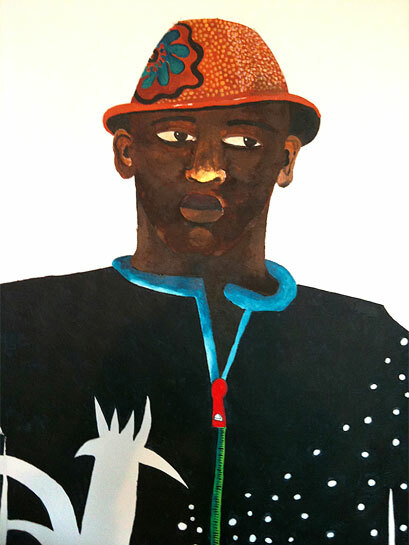 Lubaina Himid’s exhibition is part of the London 2012 Cultural Olympiad programme Stories of the World. Tailor Singer Striker Dandy is a museum intervention at Platt Hall (Costume Museum) and is a collaborative project in partnership with Manchester Museums Service.